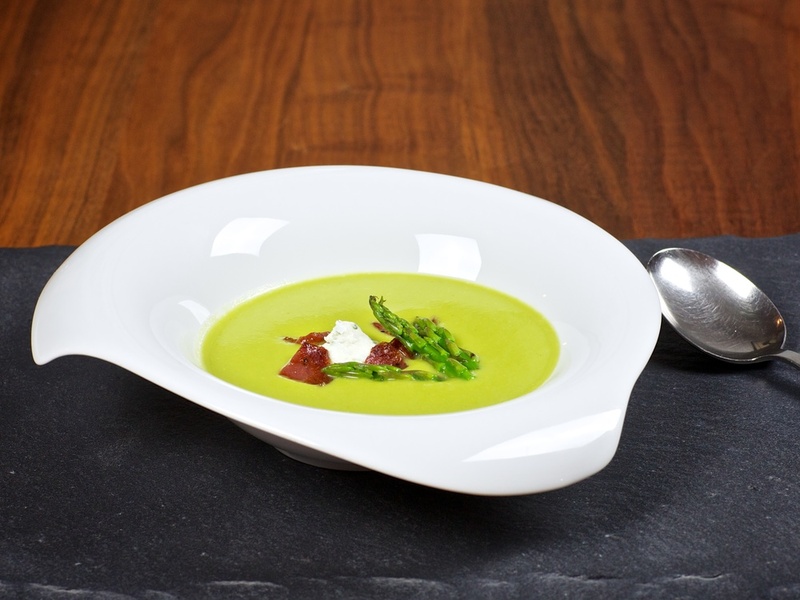 Asparagus soup is white, right? I always thought so. The frozen and canned asparagus soup I've seen in Danish stores where all white. 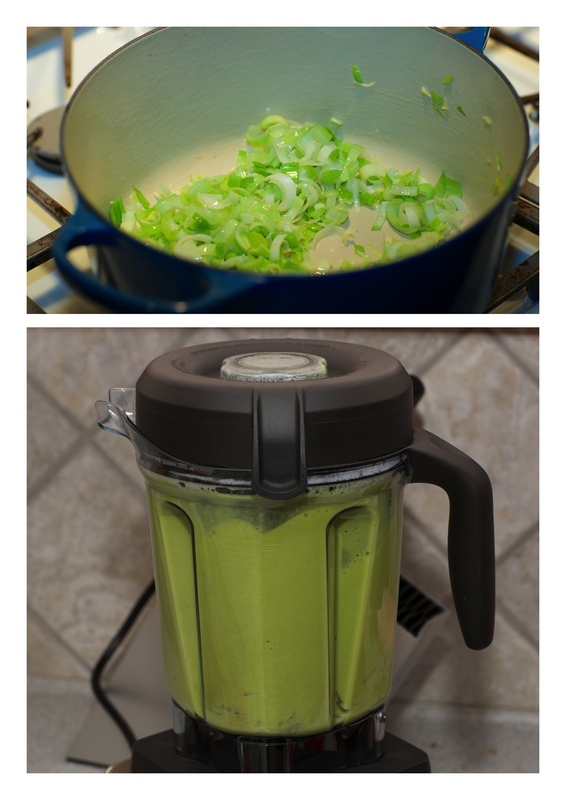 But why not use the tasty green asparagus for soup? It could be a healthier option than the white creamed soup that I've always known. Goat cheese mixed with finely chopped fresh basil and a splash heavy whipping cream. In a 4- to 5-quart Dutch oven, heat the butter over medium-low heat. When hot, add the leeks and the mustard seeds, cook, stirring constantly until softened, about 3 to 4 minutes, be careful not to get any colour on the leeks. Add wine, stock, water, asparagus. Bring soup to a simmer and cook until the asparagus are tender about 7-10 minutes. Season the the soup with salt, pepper and lemon juice. Serve the soup hot with the toppings. Enjoy!